United States President Abraham Lincoln signed the District of Columbia Compensated Emancipation Act on April 16, 1862 that ended slavery in Washington, DC. This Act compensated slave owners for freeing slaves. 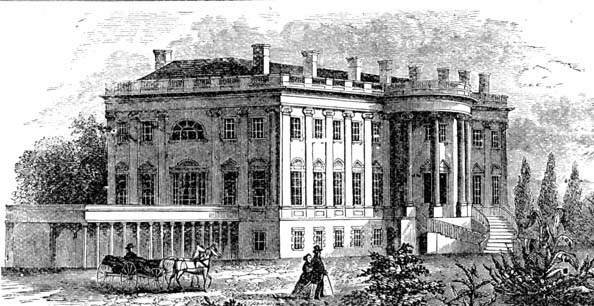 Mid 19th Century Engraving Of The White House From The South-West. Approximately 3100 slaves were freed in Washington, DC. The Mayor of Washington, DC, Anthony A. Williams signed legislation on January 4, 2005 creating a public holiday on April 16 of each year in the nation’s capital recognized as Emancipation Day. If April 16 falls on the weekend, the holiday will be celebrated on the closest weekday. Emancipation Day 2006 celebration in Washington, DC.